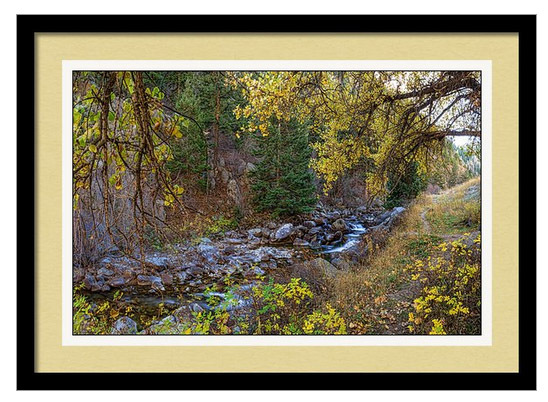 “Boulder Creek Autumn View ” framed fine art print by James BO Insogna. Ships within 3 – 4 business days and arrives ready-to-hang with pre-attached hanging wire, mounting hooks, and nails. Choose from multiple print sizes, papers, mats, and frames. 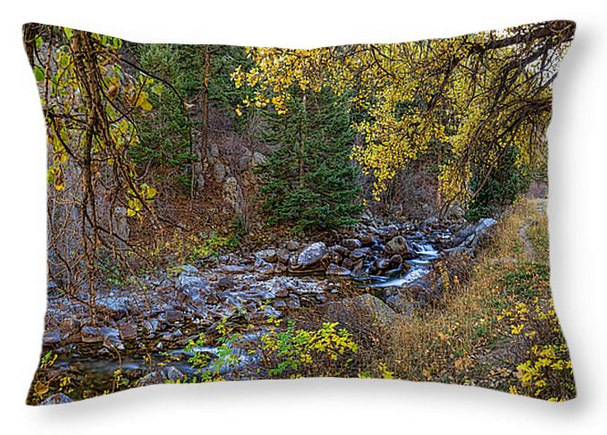 “Boulder Creek Autumn View ” throw pillow by James BO Insogna. 100% cotton. Available in multiple sizes. Ships within 2 – 3 business days. Our throw pillows are made from 100% cotton fabric and add a stylish statement to any room. Pillows are available in sizes from 14″ x 14″ up to 26″ x 26″. Each pillow is printed on both sides (same image) and includes a concealed zipper and removable insert (if selected) for easy cleaning. 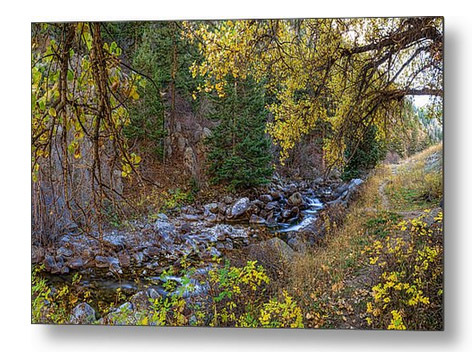 “Boulder Creek Autumn View ” acrylic print by James BO Insogna. Ships within 3 – 4 business days and arrives ready-to-hang with all mounting hardware included. Choose from multiple sizes and two different mounting options (metal posts / hanging wire). 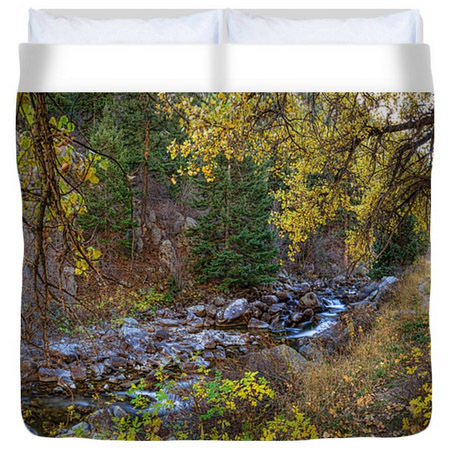 “Boulder Creek Autumn View ” microfiber duvet cover by James BO Insogna. Hand sewn. Includes a hidden zipper for easy washing and assembly. Available in twin, full, queen, and king. Ships within 2 – 3 business days. King (104″ x 88″) Duvet Cover. Our soft microfiber duvet covers are hand sewn and include a hidden zipper for easy washing and assembly. Your selected image is printed on the top surface with a soft white surface underneath. All duvet covers are machine washable with cold water and a mild detergent. 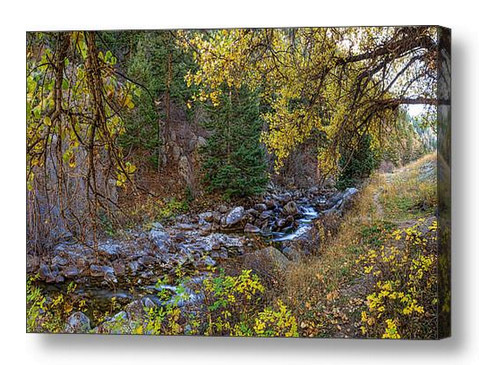 “Boulder Creek Autumn View ” metal wall art print by James BO Insogna. Ships within 3 – 4 business days and arrives ready-to-hang with pre-attached hanging wire, mounting hooks, and nails. Multiple sizes available. 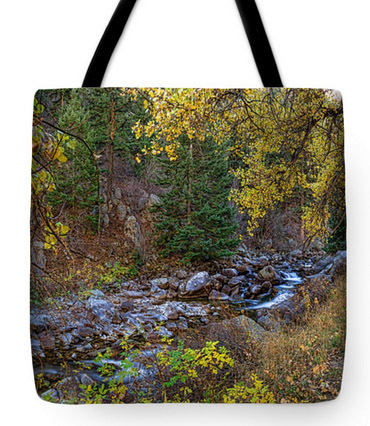 “Boulder Creek Autumn View ” tote bag by James BO Insogna. Poly-poplin fabric. Multiple sizes available. Ships within 2 – 3 business days. Our tote bags are made from soft, durable, poly-poplin fabric and include a 1″ black strap for easy carrying on your shoulder. All seams are double-stitched for added durability. Each tote bag is machine-washable in cold water and is printed on both sides using the same image, shown above. 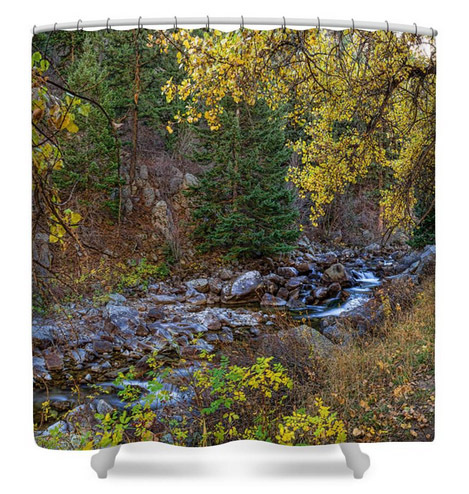 “Boulder Creek Autumn View ” shower curtain by James BO Insogna. 100% polyester fabric. 71″ wide x 74″ tall. Ships within 2 – 3 business days. Our shower curtains are made from 100% polyester fabric and include 12 holes at the top of the curtain for simple hanging from your own shower curtain rings. The total dimensions of each shower curtain are 71″ wide x 74″ tall. 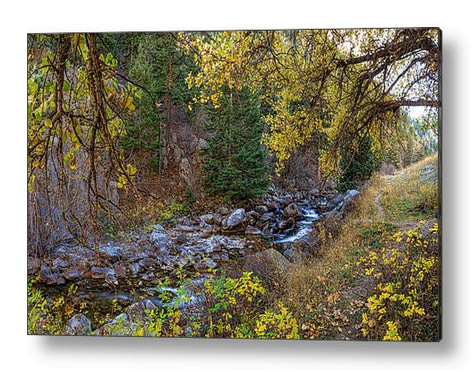 “Boulder Creek Autumn View ” by James BO Insogna printed on premium canvas and stretched on 1.5″ x 1.5″ stretcher bars (gallery wrap) or 5/8″ x 5/8″ stretcher bars (museum wrap). Ships within 3 – 4 business days and arrives ready-to-hang with pre-attached hanging wire, mounting hooks, and nails. Choose from multiple print sizes, border colors, canvas materials, and frames.